Communication tower construction is a necessity for companies looking to grow and offer service to more customers. However, constructing these towers is not cheap. Another option is cell tower leasing or choosing a used telecom tower instead of building from the ground up. Here at CellSite Solutions, we offer used and surplus towers of all sizes and types. By choosing a used telecom tower or going with a cell tower leasing option, you can save money and grow your brand — something that is very important in today’s competitive telecom market. CellSite Solutions knows the industry and what it takes to help you succeed. Our goal, as always, is to help you with all your telecommunication site & equipment needs. Browse our current inventory of telecom towers and contact us for more information or to get a quote. Our guyed towers are ideal for a variety of telecommunications projects. These towers are supported by high-strength guy cables, which are safely anchored into the ground. These towers are tall, slender structures, and they work best with broad-range signals, including broadcast radio and similar outputs. A stand-alone, self-support tower works perfectly for many telecommunications projects. We offer a wide selection of three- and four-leg self-support tower designs, which have a larger footprint. This means they require less engineering or customization than other models. These self-support towers offer some of the greatest range of capabilities in telecommunications towers. Monopole towers work perfectly for installation projects that require some slight ground support, but that also require durability during windy or otherwise harsh weather conditions. These towers consist of a single pole and can allow for expansion of your telecommunications system in the future — even at sites where other tower types would not be allowed. Also known as cells on wheels (COWS); mobile towers often work best in emergencies or for use as temporary support. These are the most flexible towers, and they can be installed very quickly. COWS are ideal because of the fast installation or re-installation time. Mobile cell towers also fit the needs of long-term towers on sites where there are limitations, such as property rights or if an ecological threat will not allow for installation of other types of towers. First and foremost, we offer one of the largest selections of used and surplus towers anywhere. This means that even if we do not have it, we can probably get it. We want to be your cell tower leasing company, so we constantly work to improve our service, offer lower rates, and go the extra mile in everything we do. We offer a wide selection of used telecom tower, pre-deployed and surplus tower options, including the four types detailed above. We offer mobile cell towers for lease and a variety of towers for sale — we even offer cell tower installation. 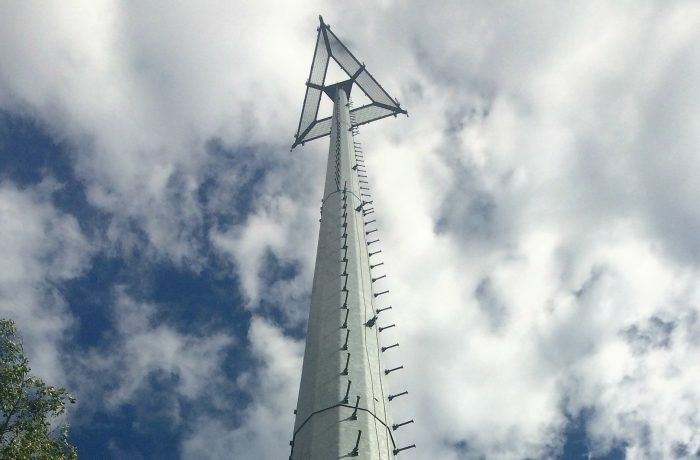 Let CellSite Solutions provide telecom towers for your next project. Call or contact us for more information or to get a quote.